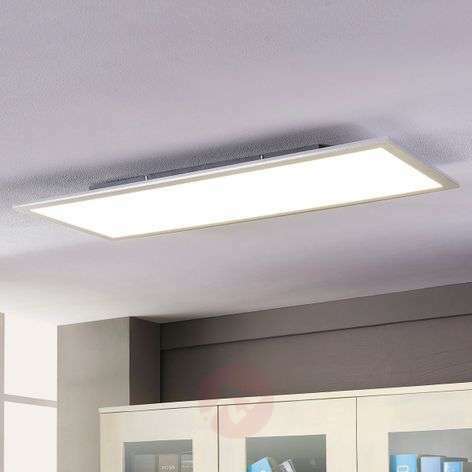 What about dimmable LED ceiling lights? How to install LED ceiling lights? Are the LEDs build in? Can I use any led ceiling light in my bathroom? Ceiling lights offer a great opportunity to make a design statement, to complement your decor and to illuminate your life. Butchoose an LED ceiling light and you’ll also enjoy a 90% energy saving and bulbs that last up to 125,000 hours. That’s around ten whole years of lower bills. With such a broad selection of LED ceiling lights here at Lights.ie, how do you choose the light that’s right for your living space? 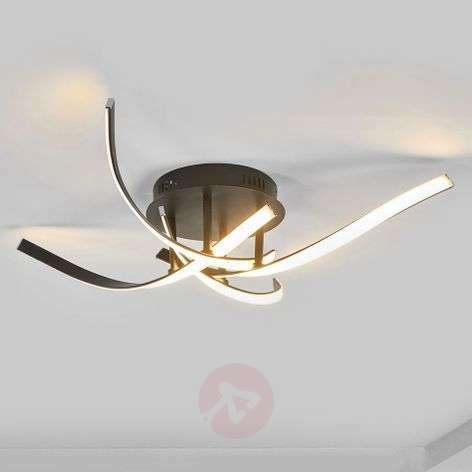 After all, we’ve got designer LED ceiling lights, rustic LED ceiling lights, modern LED ceiling lights, bedroom LED ceiling lights and more. Getting it right is all about scale and style. Look at the size of your room, the height of your ceiling, your furnishings and colour scheme. Pick a size that’s in proportion to the room’s dimensions and a style that fits with your décor. Then make a statement that’s all you. What are the benefits of LED ceiling lights? 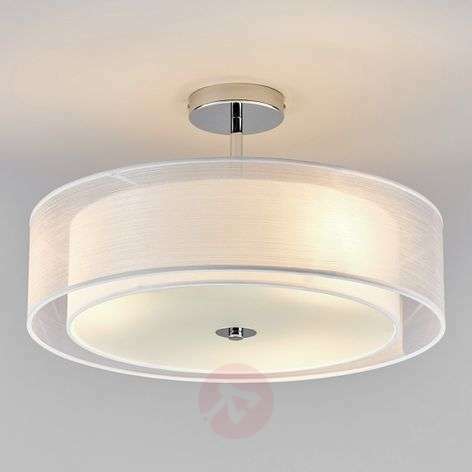 LED ceiling lights are every inch as practical and beautiful as standard ceiling lights, with one huge added benefit. With bulbs that use90% less energy, you’ll save a fortune on electricity costs… and help save the Earth, too. Ceiling lights are perfect for rooms with low ceilings as they don’t take up much space, and they offer a great source of general lighting, with light beautifully and evenly distributed throughout the room. Which LED ceiling lights are right for you? How do you choose the perfect design? LED ceiling lights are highly versatile and, here at Lights.ie, we’ve got a style to suit every type of décor and every budget. Head over to the filter section above the products, where you can filter your search so that your results perfectly match what you’re looking for. Navigating the options is simplicity itself. Click on the drop-down boxes to narrow down your search based on manufacturer, room, material, colour, style and base type. You can even choose sale items only. Scroll down and you’ll also find we’ve created a box of category recommendations. There’s certain to be something that catches your eye. What special features do LED ceiling lights offer? Looking for a dimmable LED ceiling light? Head over to the technical specification on the product detail page and choose ‘Dimmable: yes’. Use the webshop filter ‘dimmable’ to bring up an overview of products, too. Not every fitting is suitable for a dimmer, so always consult an electrician if you’re in doubt. LED ceiling lights don’t need a switch. The light comes on as if by magic. They’re ideal for areas where you need to carry things and don’t have a third hand to hit a switch, such as hallways. They’re great for preventing accidents. Use the handy technology filter to search for ceiling fans with LED bulbs. 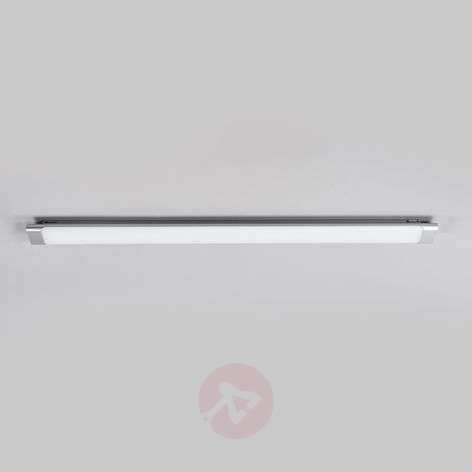 We send you a detailed step-by-step manual with your LED ceiling light. It’s pretty straightforward, but please consult your electrician if you’re not confident. You’ll find most LED lights come built-in, but do check the technical specifications on the product page. If there’s no base type given in the technical spec, it’s a built-in lightbulb. Built-in bulbs offer 20,000–25,000 hours of use – that’s around ten years. If you’re new to LED bulbs, your bank account is going to love the energy-saving potential. LED bulbs use about 90% less energy than standard bulbs. That’s great for your energy bills and great for the planet, too. Consider how long a standard bulb lasts. Not long, right? With LED bulbs, you can forget about those endless trips to the shops to buy new bulbs, then messing about on stepladders… you’ll get up to 25,000 hours of use from LED bulbs. That’s around ten years’ worth under normal use. On top of all that, LED bulbs warm up immediately and offer non-flickering light at full brightness. They come in a range of luminous colours. Pick warm white for interior living spaces (up to 3,000 Kelvin), universal white for office spaces (3,300 – 5,300 Kelvin) and daylight for basement or laundry rooms (from 5,300 Kelvin and up). LED bulbs are also safe. They contain no dangerous gases, such as quicksilvers, that you can find in energy-saving light bulbs. We measure brightness in lumens. See the technical specifications on each individual product page. What about that luminous colour? People assume that LED ceiling lights come in one standard luminous cold blue. But that’s not the case. These days, you can choose warm and neutral light colours as well. There’s an LED bulb for every room in your home. Can I use every LED ceiling light in my bathroom? Whether LED ceiling lights are bathroom-friendly depends on the IP code. If the last digit is 4 or higher, you can use the light above the bathroom mirror. For a light located above the shower, make sure the last digit is higher than 4. Please consult your electrician about which IP code he’d recommend for your specific installation, and use the webshop filter ‘IP code’. Are LED ceiling lights fire-rated? 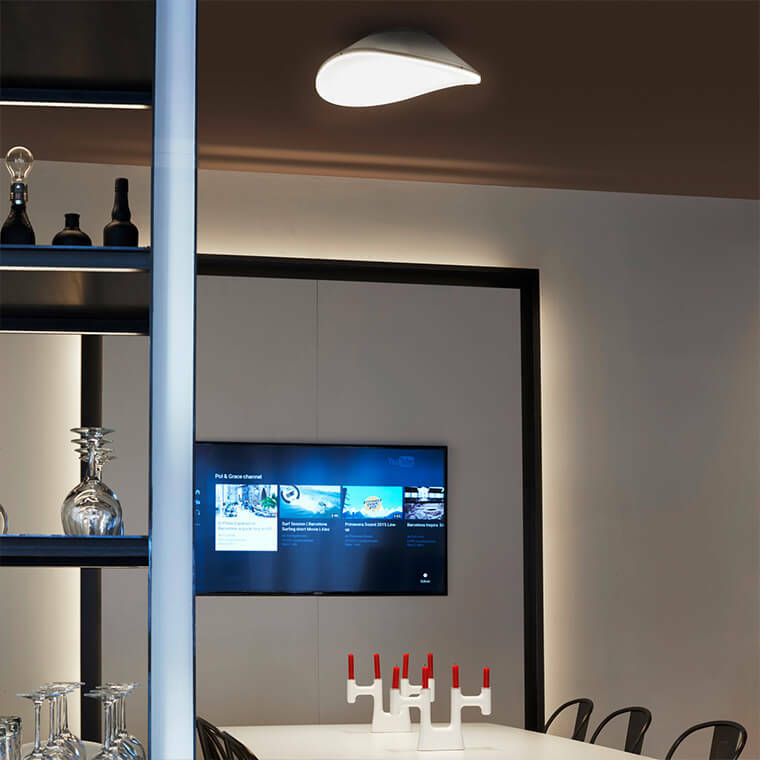 Every one of our LED ceiling lights complies with European norm DIN-EN-60598-1 (the norm on luminaires). For more information, contact Customer Services.